Adnan Barakat moved abroad in December 2009. He signed a 2.5 year contract at FK Baku from Azerbaijan. The midfielder was educated at the Ajax youth academy but made his professional début at NAC Breda. In January 2012 he changed Azerbaijan for Thailand signing a contract at Muangthong United. At the end of the 2012 season, Barakat won the championship with the club. In his second year in Thailand, he was not having many play time and he moved to Army United in July 2013 and continued at Songkhla FC in 2014. In the 2015 Thai Premier League season Barakat played at Police United. 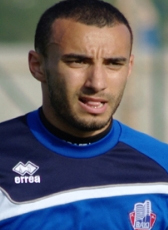 At the end of the 2015-2016 season Barakat retired from professional football and moved to OFC Oostzaan, a 'Derde Divisie' club in The Netherlands.